Skaven have a few kits that can be built in different ways to suit your army. Let’s talk about the Screaming Bell/Plague Furnace kit, and tactics for using each one in your Clan. 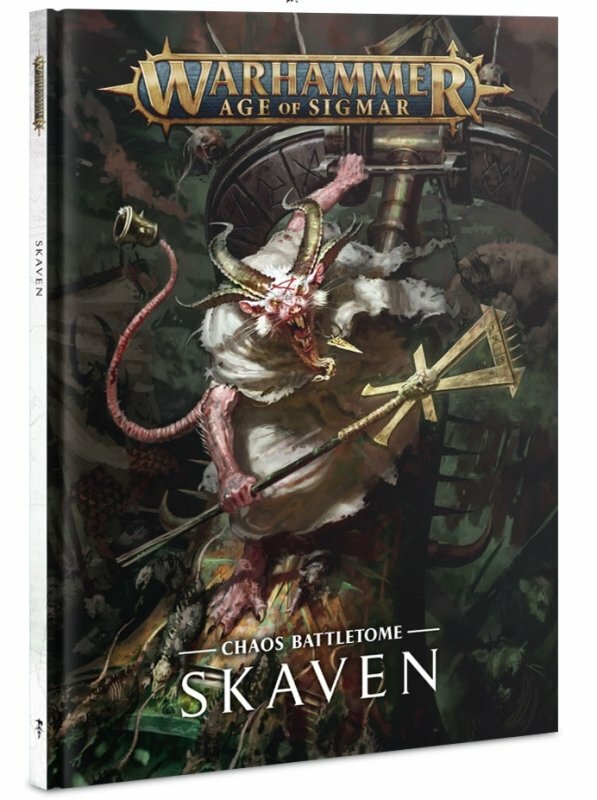 Get ready Rat fans, we are headed into the new Battletome. Ratmen dirty tricks – ENGAGED! DING DONG – Everybody is DEAD! 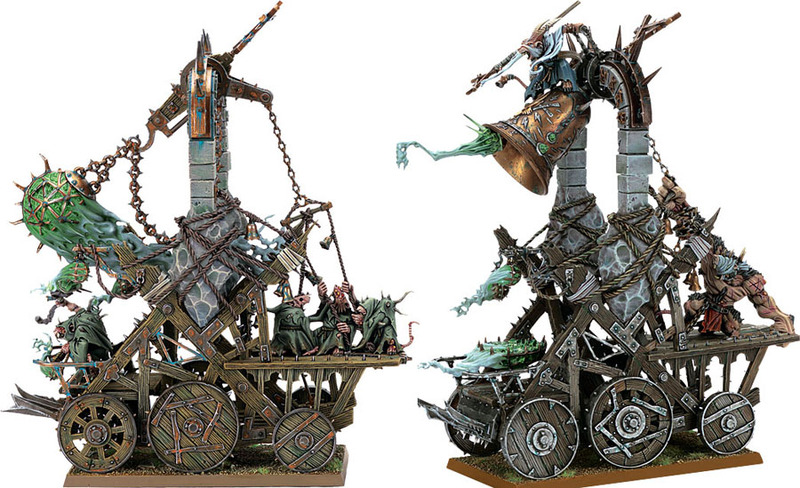 In my opinion, nothing is more iconic to the Skaven image than a Grey Seer riding into battle on a giant brass bell. 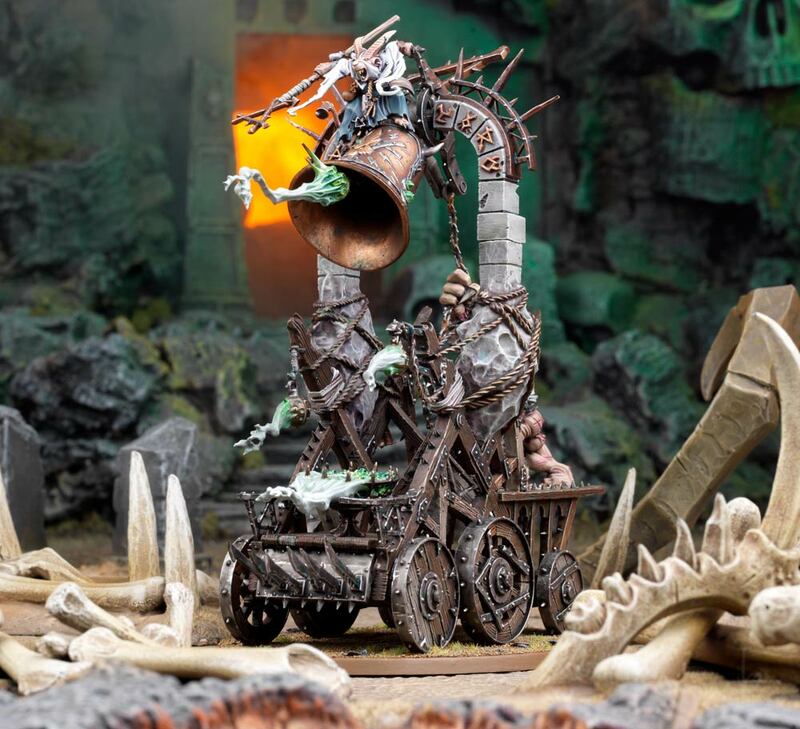 Bells play a big role in Skaven lore, and the Screaming Bell is a fantastic centerpiece model for a Skaven army. In addition to the fact that there is a Grey Seer with a powerful unique spell riding the thing into battle, the Bell’s Peal of Doom ability can certainly ring doom for your opponent. The damage this ability can deal can range anywhere from increasing the Bell’s movement or dishing out mortal wounds to summoning a fresh new Verminlord to the field! Beyond that, the Bell acts as a powerful altar, allowing all Skaven units wholly within 13” to completely bypass Battleshock! In an army with leadership as low as the Skaven, anything to avoid Battleshock is more than welcome. Finally, the Grey Seer’s signature spell, Crack’s Call, can be a nightmare for slow moving armies or armies that are stuck in the range of Soulsnare Shackles. At cast 6, pick a unit within 18” and roll 2d6, comparing the result to the target’s Move. If you roll higher, the target suffers a number of Mortal Wounds equal to the difference, which can be terrible for slow, low model armies like Stormcast or Dwarves. Best of all, the model has the favor of the Horned Rat, granting it the chance to ignore a wound or mortal wound on a 5+. If you want a strong wizard with a little extra punch, snag one of these for your army. Oh man is this thing nasty. Not only does it provide the same immunity to battleshock and hero protection as a Screaming Bell, it throws off a deadly gas aura that damages everything nearby. At the end of each combat phase, you roll a D6 for every enemy unit within 3”, dealing a mortal wound on a 4+ or D3 on a 6. This is a great deterrent for multi-charges, as the more units get close to this thing, the more damage it dishes out. However, don’t count the Furnace out in the combat phase either, as it isn’t swinging that giant smoking ball around for nothing. 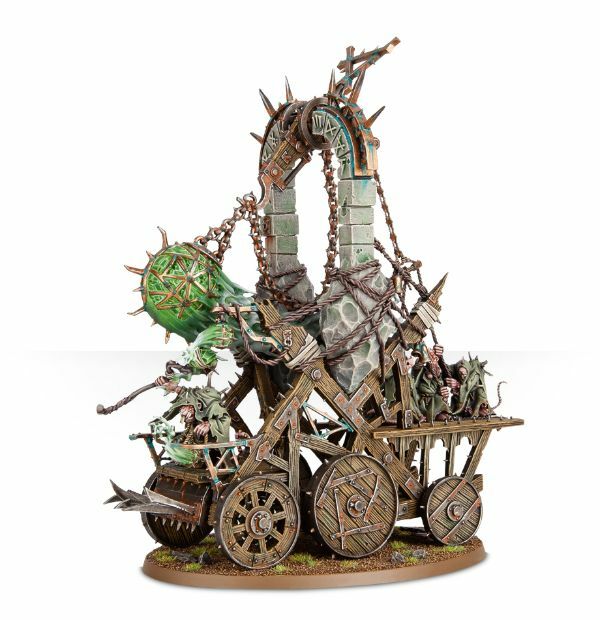 Whenever the Plague Furnace attacks, in addition to the Priest’s staff, the rusty spikes on the front of the wagon, and the filthy blade of the plague monks accompanying the priest, the Furnace can dislodge the massive Plague Censer to chuck into an unfortunate opponent. When you do that, you pick one unit within 3′ and roll a dice, dealing up to 7 mortal wounds on anything but a one! As great as all of that is, it gets even better as there is still a Skaven Priest riding the Furnace into battle ready to spit out some nasty litanies. Unlike the foot-slogging Priest which is mostly focused on dealing damage, the mounted priest is all about buffing his Pestilens allies. His first prayer, Filth-filth, allows one Pestilens unit within 13” to re-roll all wound rolls until the following hero phase and his second, Rabid-Rabid, adds one to the Attacks characteristics of all the melee weapons for a target Pestilens unit. Since Plague Monks already get several attacks from both their base weapons and the Frenzied Charge ability, they make the perfect target for either of these prayers. For true nastiness, pop the Liber Bubonicus on a Plague Furnace priest and use both prayers on the same unit, especially a large one that can benefit from the Overwhelming Mass trait. If you’re really feeling devious, but the same build into a Congregation of Filth, make the Priest your Warlord, and give him the Master of Rot and Ruin Warlord Trait. That way he can cast two prayers a turn, re-roll any failed prayers, and any Plague Monks wholly within 18” can ignore wounds on a 6. If you plan to run a large number of Pestilens, this piece should always be included. Which of the two models do you prefer? Will you bank of the sorcerous might of the Screaming Bell or the foul religious zealotry of the Plague Furnace?